If you want to take your grooming regime to the next level, take a look at the recommended gadgets and tools below. Each offers an almost instant upgrade to your appearance, whether it’s a simple pair of nail clippers to help keep your toenails in check, or an all-singing, all-dancing, face cleansing system designed to rejuvenate your complexion. Keeping your face clean shouldn’t be new to your grooming regime (hopefully), but there are now a whole range of gadgets on offer to keep you looking your best with minimal effort. 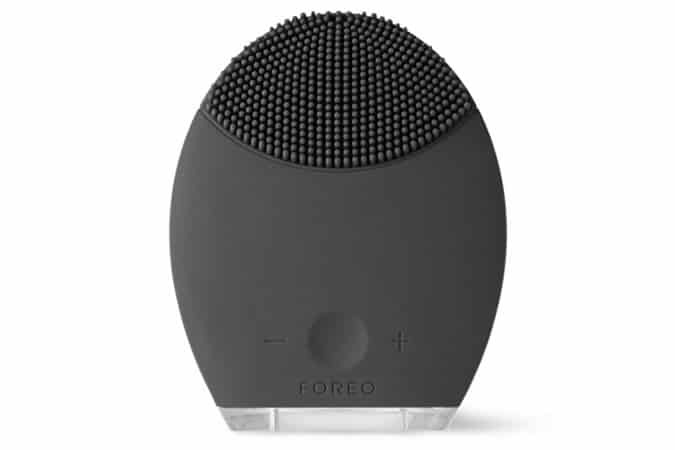 Made from non-abrasive silicon, this electronic face cleaner by Foreo emits sonic pulsations which smooth your skin and remove dirt and oil in a way that a simple face wash cannot, proving particularly useful just before a shave. But that’s not all – with just two minutes of use each day, it invigorates skin and lessens the appearance of fine lines and wrinkles, too. Available at Mr Porter, priced £145. Any well-groomed man knows that it’s not just the hair on your face and head that needs to be kept neat and tidy. Whether it’s on your back, chest, shoulders or elsewhere, this body groomer by Philips is one of the best on the market, offering smooth results with minimum irritation thanks to its pearl tips. It’s also fully waterproof, so you can use it in the shower, and boasts a long battery life. Available at Boots, on offer at £36.66 (normally £55). Sorry gents, but keeping your nails in check isn’t just for ladies anymore. With a simple, pocket-sized grooming set such as this suave choice by Czech & Speake, it’s easy to keep your hands in top condition no matter where you are. It’s an investment, no doubt, but with each tool designed to resist rust and bacteria, they’re guaranteed to last, and they also meet international travel regulations. Available at Mr Porter, priced £198. Nothing beats a bright and healthy smile, with the Philips AirFloss Pro the latest gadget on the market designed to help maintain those pearly whites. Traditional fiddly flossing goes out the window, replaced by bursts of water delivered directly between your teeth. Clinically proven to be as effective as flossing in the prevention of gum disease, this tool is definitely one to make part of your daily routine. Available at Boots, priced £99.99. No man should be without a pair of tweezers to help keep those stray hairs under control, and these slanted tweezers by Tweezerman are about as good as they come. The American brand makes some of the best tweezers on the market, and even offer a lifetime guarantee. Buy once and they’ll last forever. Available at Niven & Joshua, priced £20.95. Tweezerman isn’t just a tweezer pro – they also produce other high quality hair removal tools like these handy facial hair scissors. Whether you want to keep your beard under control or simply take care of straggling ear/nose hair, these curved stainless steel scissors are both safe and efficient. Available at Niven & Joshua, priced £22. If you’re looking to upgrade your shaving routine, it’s time to switch from cartridges to a safety razor. This double edged version from specialist German brand Muhle is both affordable and ideal for beginners, offering a safe, extremely close shave that your Mach 3 just can’t beat. Available at Niven & Joshua, priced £25. With beards no longer considered a fleeting men’s grooming trend, but a way of life, the beard trimmer has become a modern-day essential for the hirsute gent. Style your facial fuzz however you want with this affordable yet durable version from Remington, which comes with a choice of nine settings and an additional pop-up trimmer for precision sculpting. Beats reaching for the scissors every day. Available at Boots, priced £28.99. For those gents that maintain a perfectly sculpted quiff, pompadour or side parting, the humble comb is a true grooming essential. But a budget version from your local supermarket just isn’t going to cut it anymore. This tortoiseshell option from Baxter of California is handcrafted in Switzerland for an expert finish, fits snuggly into your pocket and – most importantly – looks the part, too. Available at Mr Porter, priced £18. Similarly, you can’t create the perfect quiff without a quality hair dryer to add volume. This smart model by Remington comes with a built in anti-static ceramic ionic grill, ensuring even heat dispersion. What does that mean for you? A perfectly sculpted, smooth finish with less static and flyaway hairs. It also had a range of heat settings so you can tailor to your own individual needs and hair type. Available at Amazon, priced £11.99. Head-to-toe body buffing isn’t as hard or abrasive as it sounds when you’re armed with a decent pair of exfoliating gloves, like these by Menscience. Slip them on in the shower, add your favourite body wash and get scrubbing – they’ll slough off impurities and dead cells while helping deal with ingrowing hairs and blemishes, ensuring your skin looks its very best all year round. Available at Mankind, priced £14.50. With sandal season well and truly upon us, a little bit of foot grooming is essential. This small yet mighty tool makes removing hard and dead skin a breeze, with its unique mineral-coated roller spinning at 30 rpm to buff away dead skin without the discomfort you can experience with other models. Available at Mankind, priced £17.45.